Wear your love of food on your sleeve. Not literally, no one wants hummus cuffs. 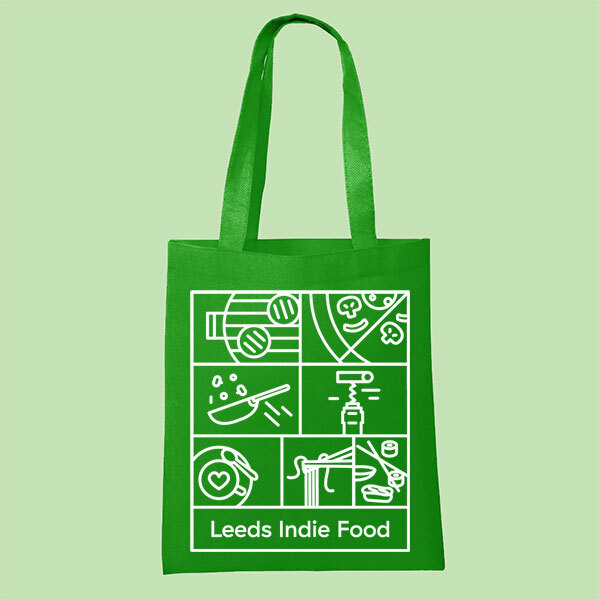 Instead, opt for this year’s LIF tote, to show your love for the Leeds indie scene through the year (and cart all your stuff about). It’s green to highlight this year’s emphasis on low-waste and sustainability. And it’s our favourite yet. Grab one before they’re all bagged!.